Curt Largent was born and raised in Shasta County, CA. He attended Taylor University in Upland Indiana to complete his BA in Business Administration. Curt spent 11 years in a fast-paced career trading stock options in Chicago. As his family grew, Curt and his wife chose to settle back in Redding to raise their children. Curt’s parents are both in the Real estate field, so it was a natural transition for Curt to create a career as a Real Estate Broker. He began as a “rookie” agent in the early 2000s, with his forward thinking mentality, his drive, aptitude in watching the market trend and decision to focusing on bank relationships; he increased his listing pool and inside knowledge of the banking systems and how they handle their real estate inventory. 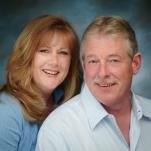 Since, Curt has successfully created the largest producing team in Shasta County and has now opened his own boutique office of Sheldon Largent Realty with Top REO agents. With all of his successes, Curt has made it his goal to have quality service for his customers/clients. He realizes to make this a reality he needs to be in relationships with a quality/educated team that helps him give the level of service he expects for all those that do business with him and The Largent Team. Call us today! (530)282-1767 for any realestate questions! Our lead buyer representative and one of our listing support specialist here in the office. She has nine years experience in real estate. All of which dealing directly with bank owned property, Short sales, as well as flip homes to large luxury homes. Tera assists in closing a high volume of transactions in our fast paced office every year. Being a long term resident of Redding and her experience in customer service industries have made her a powerful advocate for her buyers. Tera specializes in guiding clients through the purchase process while providing exceptional communication and attention to details. This helps her clients to be fully prepared for their home purchase or sale. Tera is always striving to build that personal connection with each and every person she has the privilege of working with. Whether you are a first time home buyer that needs to learn the realestate ropes, or an seasoned investor, buyer or seller, she has the knowledge to guide you through an informed and smooth property sale or purchase. She also assists buyers and investors in the purchase of homes at the local auction, as well as bidding for buyers on the auction websites. She is very familiar with all the guidleines and requirements to make any type of purchase for her buyers. No purchase or sale is too big or too small for her. 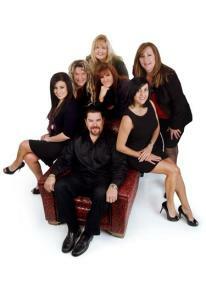 Providing excellent service in our Shasta/Tehama/Siskiyou Market. Contact Tera today with your home buying or selling questions, she is always happy to take the time to give you any information she can, whether you are buying or selling today or in the future. We also LOVE referrals! Jaimie Chandler is a nor cal native born and raised in the small town of Cottonwood. She got her license 2 years ago and quickly learned the realestate market so she decided to join the Largent Team. She specializes in land and residential listings and sales from Red Bluff to Lakehead and everything in between. When she's not working Jaimie can be found spending time with her three little munkins and husband enjoying all the great outdoor activities that Redding and the surrounding areas have to offer. Check out Jaimie and Tera on Facebook! Louise has been in the realestate industry for 12 years, she brings such strong leadership skills into this office. As the Office Manager, she oversees each client’s experience and insures the contract process is as smooth as possible. Louise helps us to deliver the high-level of service that we demand for each and every one of our clients. Her background in client care + task management, as well as a desire to SERVE people, make her the perfect fit for our team and office. Louise is very knowledgeable in all aspects of the real estate transactions. She also disperses information and supervises all the agents here in the office. She also is responsible for training new hires, keeping cost and sales records, presenting property budgets, and generating real estate financial reports. Louise has outstanding interpersonal as well as analytical skills and is always a ray of sunshine when she greets you! Contact her today with any feedback you may have. Her number is (530)282-1771.